A report by Bill Nanson on this house, plus selected 2000 and 2001 vintage wines. This company can trace its roots back to a wine business formed in 1756, but was actually purchased by the Drouhin family in 1880. In 1918 vineyards were purchased in both Beaune and the ‘Grand Cru’ of Clos de Vougeot. I was very lucky to have Véronique Boss-Drouhin as my guide when I visited in December 2002. First we toured the cellars which honeycomb Beaune below street level. Although mainly 13th century, in one part you can see the original foundation stones of a 9th century church and in another a wall built by the Romans. 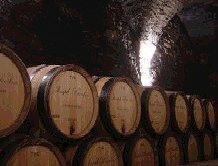 Approximately 4-500 barrels of wine are stored here, the rest are stored in the winery just south of Beaune on the Route de Pommard. This is where we did our tasting. Outside the winery there are pallet-loads of oak slowly ‘seasoning’ and waiting for the day they will be used. N.B. The wines were tasted at cellar temperature (~15°C) so not surprisingly many of the reds showed reticent aromatics. Also due to cellar lighting it was not possible to say exactly the colour, only how dense the colour was. Not a completely consistent theme in the bottled wines below, both the bourgogne rouge and the Chambolle-Musigny 1er Cru are very drinkable today, whereas the Côte de Beaune and Clos des Mouches beg time in the cellar. All, however, showed a super purity of fruit. After tasting these bottles we moved through a selection of both 2001 and 2002 Grand Crus from barrel. We started with a 2001 Bonnes-Mares and frankly I didn’t think it could get better than this – I was wrong! Chambolle-Musigny Amoureuses (well I think it should be a Grand Cru! ), Grands-Echézeaux, Griottes-Chambertin, Romanée-Saint-Vivant and Musigny, both 2001 and 2002 were absolutely gorgeous. Luckily it was lunchtime by now, as there were at least another 100 barrels we could test!Finally, here was a very consistent theme; deep red colour (not purple), beautifully intense and pure fruit, and very aromatic. What these wines didn’t have was ‘heavy’ tannin. In all cases medium-plus very fine tannins. Perhaps this is why Drouhin’s wines are sometimes referred to as ‘restaurant wines’; they are approachable and indeed very enjoyable even at this stage. Véronique said that their aim was to balance extract with finesse, for my personal style preference, it seems that they have been very successful in 2001 & 2002. Medium cherry red colour. The nose has well developed cherry and strawberry notes. Good acidity coupled with medium intesity fruit and medium tannins. This is a soft and friendly wine that you can certainly enjoy today. In this case the ‘mouches’ are bees, not flies! This, the best known of Drouhin’s vineyards was purchased about 1918. Today it is run on a biodynamic basis. The colour is similar to the Côte de Beaune. Again, reserved on the nose, a little toasty perhaps – though Drouhin don’t char their barrels. Very good acidity and much finer tannins than the last wine. The black cherry fruit is intense, lasting well in the finish. A very good wine, again will benefit from some time in the cellar. This wine is a mixture of 5 Crus; Hauts-Doix, Borniques, Noirots, Plantes and Combottes. Deep cherry in colour. Again the nose is reserved, no toast this time, but higher toned with faint fruit preserve. Really interesting on the palate, lots going on here – a mixture of red and black fruits, though shaded towards red. Lovely length with very fine tannins. A very good wine that you could certainly enjoy today. This was a group of whites that I really enjoyed. Due to either no or very subtle oaking, lovely pure flavours across the bottles. Véronique mentioned that they use no oak for the Chablis as otherwise it would become “just another good chardonnay which could come from anywhere”. Afterwards we tasted wines from 2002 in barrel ranging from a lovely 1er Cru Rully and a gorgeous figgy and honeylike Meursault to Corton-Charlemagne and even Montrachet itself. A real treat and some of these had a surprisingly tannic palate.